The drama and experiences surrounding high school life in the 1970s are both foreign and hilarious. 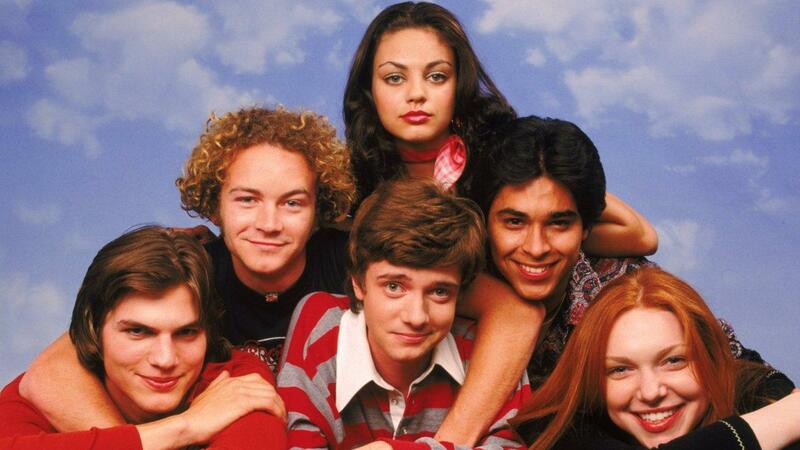 Airing on T.V in 1998, “That ’70s Show” includes well known actors such as Ashton Kutcher and Mila Kunis during their early years. The show follows the family life and friends of a high school student named Eric Foreman. Each episode focuses on a different aspect of teenage life, and with light-hearted characters such as Fez, and Kelso, there is always a sense of relief during the more serious topics on the show. Whether it’s travelling in Eric’s Vista Cruiser or chilling’ in a circle in the family basement, the series does a great job of making each episode familiar yet different with the stories and environments involved. Whether it’s accurate or not of the supposedly laid-back teen years of the ’70s, the show remains captivating even to those unfamiliar with the time period by focusing on themes such as drugs and high school relationships while keeping a comedic tone. The show has gotten a lot of praise for being the starting point for many well-known actors today and provides insight into the high school experiences of parents/relatives who grew up in the ’70s. With a somewhat cheesy yet charming sense of humor, the series brings a few unexpected laughs. Foreman’s family life is surprisingly relatable, and with a handful of interesting and stereotypical characters, “That ’70s Show” remains one of the funniest and entertaining series to be released.